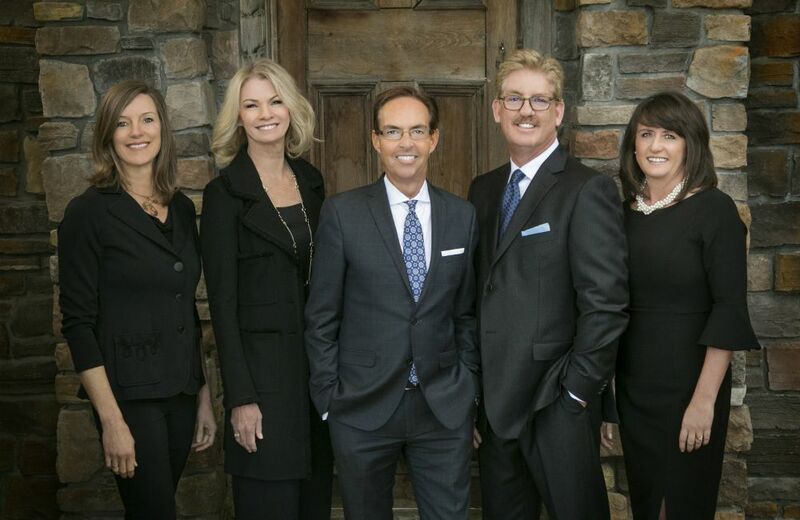 Rike and Jonathan began their real estate careers in 1993, creating a long-term professional partnership that quickly rose to be one of the top dollar producing real estate teams in the Denver metro area. Rike and Jonathan have been fortunate to develop an extraordinary team of individuals who uphold their high standards of customer care. These highly skilled professionals have been assembled to assist you with every step of the real estate process. Their Buyer specialists will act as your “personal shoppers,” knowing the inventory and swiftly guiding you to the perfect property, even when inventory is limited and they are specialists in finding properties before they even hit the market. Their Listing specialists will market your property aggressively and follow up on feedback, helping to position your property to sell as quickly as possible for the highest price possible. Rike and Jonathan’s proactive business approach is reflected in their comprehensive marketing advertising campaigns. They always have a keen eye on keeping your property top of mind with Buyers and the best Brokers. Their Transaction Manager coordinates all of the details and makes sure all deadlines are met to ensure a smooth and successful closing. Rike and Jonathan believe strongly that we are at that moment in the real estate industry and on the leading edge of change, as the old-fashioned general agent is phased out and the client-centered team concept is the preferred and expected alternative. Their goal is to offer each of their clients an opportunity to experience a new standard in real estate. They are confident you won’t accept anything less, ever again! Sold a Condo home in 2018 in Cherry Creek, Denver, CO.
Sold a Single Family home in 2018 in Denver, CO.
Sold a Condo home in 2018 in Highlands Ranch, CO. I interviewed three top realtors in before settling on Rike Palese. The interviews were not even close... Rike stood out in his professionalism, ability to listen well, contribute good suggestions, etc... Throughout the selling process, he never let me down. Sold a Single Family home in 2018 in Berkeley, Denver, CO.
Sold a Single Family home in 2017 for approximately $600K in Greenwood Village, CO.
Rike and Jonathan assisted us with the listing and selling of our home of 18 years. They were very professional, provided great insights and knowledge relative to potential buyers, our neighborhood home values, and how best to present our house for showings. We could not be happier with the results. Sold a Single Family home in 2017 for approximately $1.225M in Littleton, CO. I first called Rike on a Saturday after driving back from Colorado Springs the long way home - after looking at a few areas and homes just out of curiosity. Although he was out of town, he returned every call and every text almost immediately. I was completely impressed by him. Sold a Single Family home in 2017 for approximately $1.5M in Sedalia, CO.
Bought a Single Family home in 2017 for approximately $700K in Southwest Colorado Springs, Colorado Springs, CO.
We enjoyed working with Rike very much. He was very patient and found our home. We would strongly recommend him. All the paperwork went pretty smooth and he was always available if we had questions. Sold a Single Family home in 2016 for approximately $800K in Denver, CO.
Rike Palese was knowledgeable regarding the neighborhood and helped us price our house to sell. I would highly recommend this team for your real estate needs. Sold a Single Family home in 2016 for approximately $575K in Denver, CO.
Bought and sold a Single Family home in 2010 for approximately $675K in Denver, CO.
Rike and Jonathan are a great team. Integrity, a great sense of the market, and undaunted by complicated deals...they are true professionals. They are quick to respond and their work is accurate and timely. I appreciate that they bring many years of experience in real estate sales and investing. Bought and sold a Single Family home in 2016 for approximately $325K in Fort Logan, Englewood, CO.
Rike was very helpful and met our needs. He made the process easy. We just never got a sold sign. But everything else was great. We recommend Rike when selling a home. Sold a Single Family home in 2016 for approximately $1.25M in Denver, CO.
Rike has represented us on several transactions and I would highly recommend him to anyone. He is always available and works to obtain a fair and equitable deal. Bought a Single Family home in 2015 for approximately $425K in Larkspur, CO.
Sold a Single Family home in 2015 in Castle Rock, CO.
Rike was with us every step of the way and helped guide us with his professionalism and experience. We used Rike to both buy and sell our home(s) and we could not have asked for a better agent. Sold a Single Family home in 2015 for approximately $450K in Lakewood, CO.
Rike was so helpful and knowledgeable and I recommend his services to all. He was attentive and he got us the best price for our home. He negotiated a great price for our new home. I can't enough about him and his team. Great experience! Bought and sold a Single Family home in 2015 in Denver, CO.
Sold a Condo home in 2015 for approximately $900K in Belcaro, Denver, CO.
Bought and sold a Single Family home in 2015 for approximately $425K in Littleton, CO.
Sold a Condo home in 2015 for approximately $175K in Windsor, Denver, CO.
Rick and his team is excellent. They makes you feel like you are their only client. He is always available to answer any questions or concerns. We recently sold three of our investment properties within two months. He was right on the sale price, recommendation on the updates needed. Bought and sold a Single Family home in 2015 for approximately $925K in Castle Rock, CO.
Sold a Single Family home in 2015 for approximately $375K in Morrison, CO.
Bought a Single Family home in 2014 for approximately $975K in Lone Tree, CO.